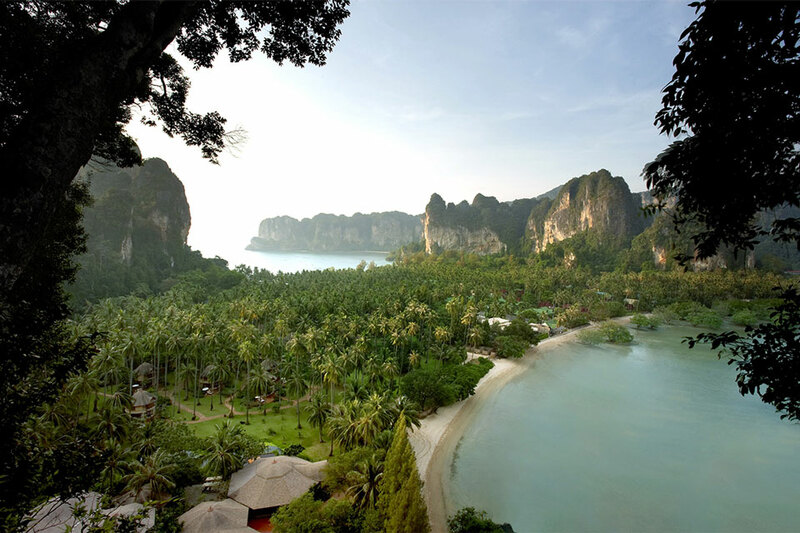 The magnificent coastline of the province of Krabi is as long as 150 kilometres. The nature of this limitless space is truly unique and diverse – with mangrove forests, lakes and waterfalls, picturesque coves, and the famous limestone rocks touching the sky both on land and in the sea. 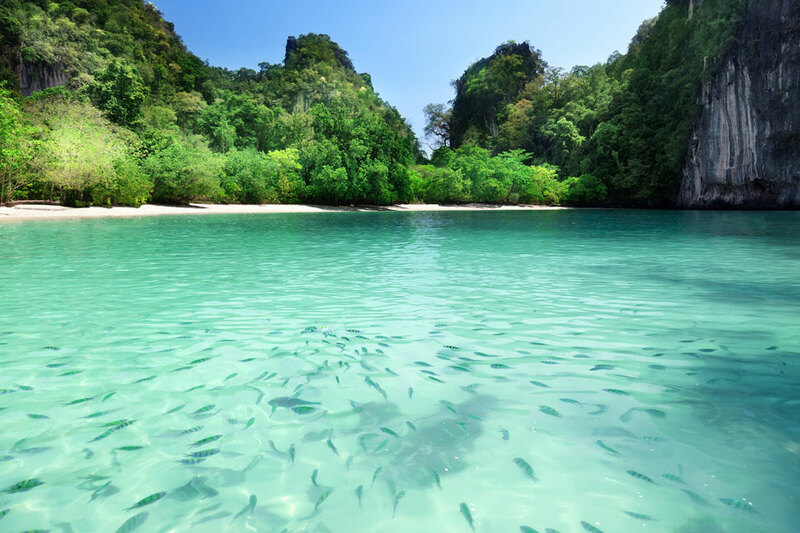 The waters of Krabi are home for sea turtles, friendly leopard sharks and dolphins. Those who are lucky to see the beauties of this province once, will always want to come back here again. 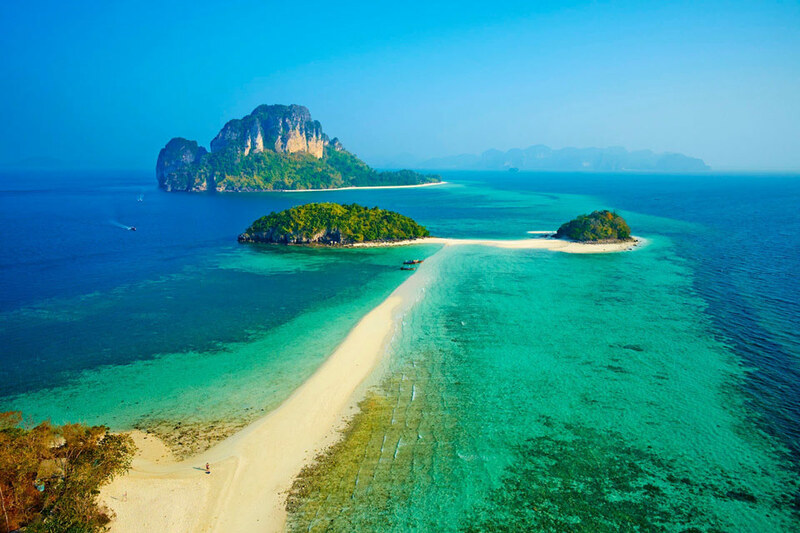 Krabi features several national parks and more than 150 islands many of which are well known as perfect destinations for adventurers, scuba divers, snorkelers, day-trippers and yachtsmen. The most famous island groups are Phi Phi and Koh Lanta. Exploring each of them by boat is a separate multi-day adventure! Another island group worth visiting on your Krabi private yacht charter includes the islands of Koh Dam Hok and Koh Dam Khwan, better known as the “Chicken Islands”. The large rock formation on the southern tip of Koh Dam Khwan clearly resembles the head of a chicken. Snorkelling is the best on the north of this island. At low tide, the island and 2 rocky islets next to it get linked by the sandbar. Locals call it “talay waek” which means “split ocean”. Koh Hong is another gem of Krabi! The secret lagoon inside of the island can be accessed only by dinghy on tides above 1 meter. But outside you’ll be stunned no less: the beach is simply fantastic there! It is also an excellent overnight stop where you can stay on anchor or take a mooring. The beauty of Krabi coastline was first discovered by cruising yachties and backpackers in the 80s. Now there are several 5-star resorts and many excellent restaurants. 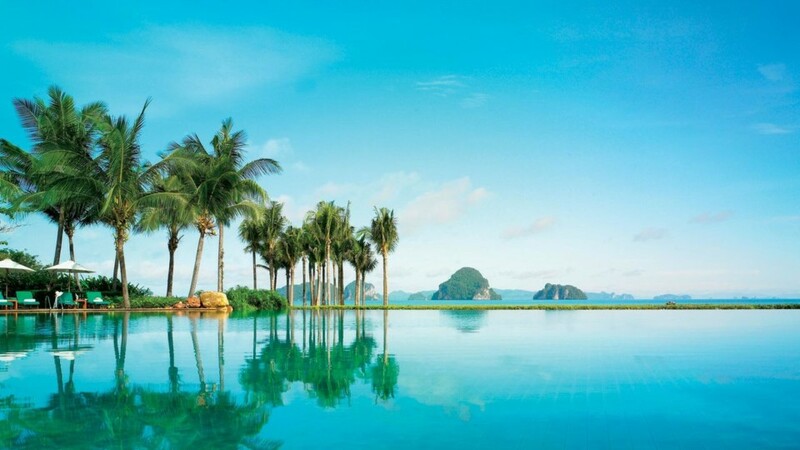 Right across from Koh Hong there is a 5-star Phulay Bay Resort by Ritz Carlton. Cruising further south you will end up in Ao Nang Bay, the busiest area of Krabi with lots of resorts, bungalows, restaurants, and shops. It is the access to the main road to Krabi Town which makes Ao Nang so important. 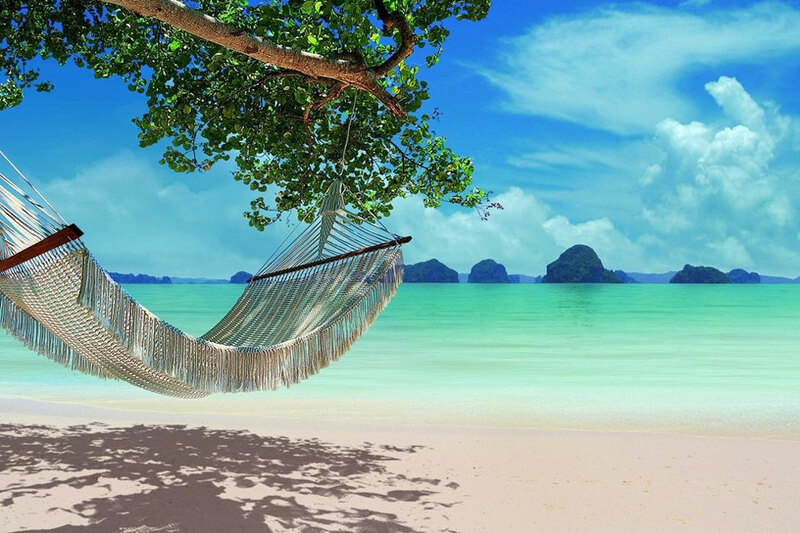 Immediately south of Ao Nang there is Railay Peninsula famous for the beauty of its beaches. There are 4 of them, all white-sand and within a walking distance from each other. Their spectacular limestone cliffs and magical caves attract rock climbers and explorers from all over the world. The cliffs also cut off the access to the peninsula by road. So the boat is the only way to get there. The 5-star luxury Rayavadee Resort, with 100 pavilions in a spectacular coconut-grove setting lies behind one of the beaches and is a perfect dining stop when on a Krabi private yacht charter. 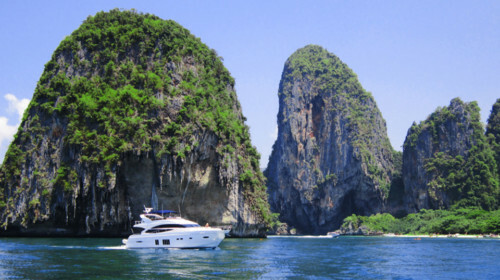 Contact Boat in the Bay to experience the Krabi private yacht charter. 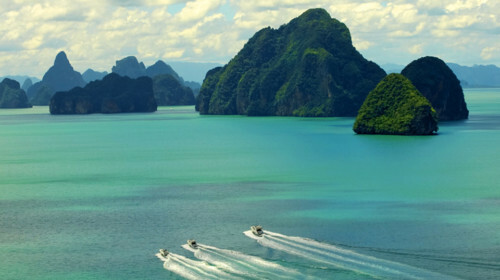 With its spectacular scenery, Phang Nga Bay is home to literally hundreds of islands. 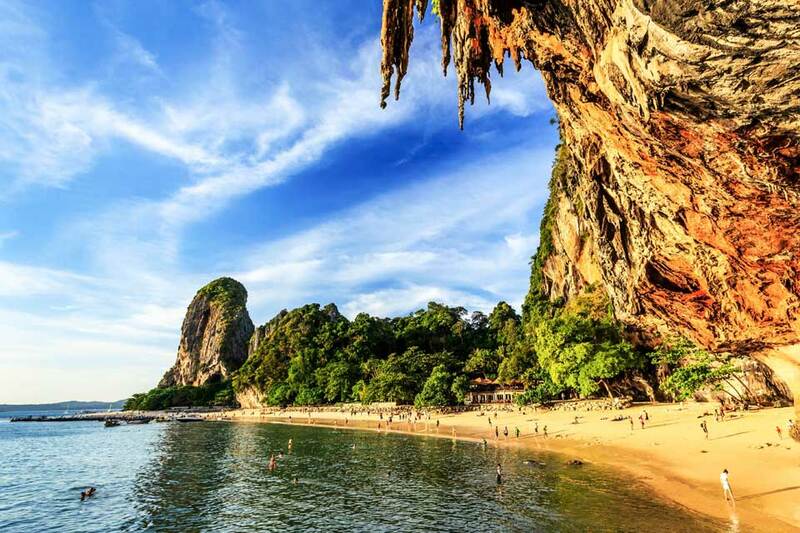 The magnificent coastline of the province of Krabi is as long as 150 kilometres.